(i) DRS Dilip Roadlines Limited was incorporated on July 10, 2009. The company is engaged in the business of providing high-quality logistics services including Transportation, Packing & Moving and Warehousing. (ii) DRS Dilip Roadlines Limited are surface transporters and provide only goods transportation services. They provide Full truck loaded ‘FTL’ services to all their customers for transporting goods. (iii) As on July 15, 2018, they operate and own a fleet of 301 trucks in the name of their Company, have 199 vehicles from there group and have the capacity to hire 450 vehicles. They operate through different types of closed container trucks on the basis of size and capacities. The variety of goods transportation vehicles in their fleet also enables to serve a diverse mix of consignments. (iv) There packing and moving business is carried under the brand name of ‘Agarwal Packers and Movers’ which has become a renowned name in household relocation across the country. However, the brand ‘Agarwal Packers and Movers’ is shared by their relatives Ramesh Agarwal & family and Rajender Agarwal & family. The Company Law Board, Chennai has permitted the use of brand ‘Agarwal Packers and Movers’ vide its order dated November 17, 2014, to them and our relatives. Since then they operate their packing and moving business under the brand Agarwal Packers and Movers. (v) For packing and moving services the Company owns composite container vehicle specially designed to suit the household shifting called ‘CHAPP VAN’ (Car, Households, Artifacts, Plants and Pets). This new-concept composite container vehicle supports transport of Car, Household, Artifacts, Plants, and Pets all in one i.e. there is space demarcated for each and every item and ensures better safety and ease of handling varied items. The brand Agarwal Packers and Movers (DRS Group) has been recognized by Limca Books of Records, for CHAPP VAN. (vi) Revenue from operations for the financial year ending 2015-16, 2016-17 and 2017-18 are 15,302.34 lakhs,14,165.40 lakhs, and 14,248.65 lakhs respectively. (vii) The Net Profit after tax for the above mentioned periods i.e. in the last 3 years is 50.00 lakhs in F. Y. 2015-16, 108.18 lakhs in F. Y. 2016-17 and 345.39 lakhs in F.Y. 2017-18 as per our Standalone Restated Financial Statements. IZ Financial Review 1. The Company has a muted growth of 7.75% in the last 5 years. 2. The Employee Expense is decreasing in the last 5 years. Usually, a company which is growing have a rising employee expense. 3. The Current Ratio below 1 is a cause of worry. 4. The company has average EBITDA Margins and PAT margins of 9.45% and 2.41% respectively in FY18. 5. The D/E post Issue is greater than 1. The share price is trading at par with issue price. The Promoters were operating the family business under the trade name Agarwal Packers & Movers along with their brothers Mr. Rajendra Agarwal and Mr. Ramesh Agarwal in DRS Logistics Private Limited. Over the period of time, the business operations were split and at present both the families i.e. our Individual Promoters & their family as well as Mr. Ramesh Agarwal & family and Mr. Rajender Agarwal & family are operating the separate business under same trade name i.e. ‘Agarwal Packers and Movers’. Further, there is an ongoing dispute between both the families for using the trade name i.e. ‘Agarwal Packers and Movers’ and litigations pertaining to it are currently pending with the Honorable High Court of Hyderabad. It cannot be assured that in future High Court will be in the favor for usage of the common trade name. 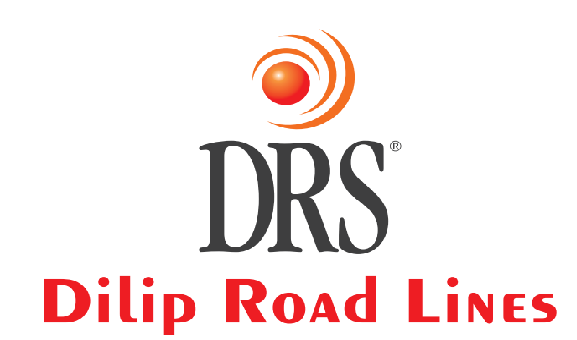 Any decision rendered against DRS Dilip Roadlines will affect their business operations and financial conditions. Conclusion: This company is also using the brand name of Agarwal Packer and Movers, but if any decision comes against the company then it will definitely affect the operations of the company. Conclusion: The P/E looks slightly on the higher side but giving a brand value and kind of clientele they have, it looks a good bet. It is a DRS Group company, which owns a brand called Agarwal Packers and Movers.